A myth is a classic or legendary story that usually focuses on a particular hero or event, and explains mysteries of nature, existence, or the universe with no true basis in fact. Myths exist in every culture; but the most well known in Western culture and literature are part of Greek and Roman mythology. The characters in myths—usually gods, goddesses, warriors, and heroes—are often responsible for the creation and maintenance of elements of nature, as well as physical, emotional, and practical aspects of human existence—for example Zeus; the god of the sky and the earth and father of gods and men, and Aphrodite; the goddess of love and fertility. A culture’s collective myths make up its mythology, a term that predates the word “myth” by centuries. The term myth stems from the ancient Greek muthos, meaning a speech, account, rumor, story, fable, etc. The terms myth and mythology as we understand them today arose in the English language in the 18th century. The dog was strong and fearless, and you could tell by the way he sat that he was a proud pooch. His bravery was famous amongst dogs and other creatures far and wide; the stories of his deeds were known by young pups and old mutts alike. His owners had named him Hercules, after the great hero of legend, and he had lived up to his namesake. This short passage employs the classic Herculean myth to the story of dog. The hero Hercules was known for his superhuman strength and abilities as a warrior, but also for his pride. Here, a dog named Hercules is described as having similar traits and abilities as the Hercules of Greek myth. Myths are generally classified by cultural origin, and together those myths comprise a culture’s mythology. The most important mythologies in western culture are those of Rome and Greece, as mentioned above, which are generally collectively known as Classical Mythology. It is believed that both were developed from the beliefs of popular life at the time they were created. The Greek myths are a collection of myths developed by the ancient Greeks. They were developed long before the Roman, with evidence of their existence dating back as far as 2000BC. The myths concern topics such as the origins of human practices and rituals, the laws of nature, gods and heroes, and so on. Many myths explain the origin of the universe and the creation of man. The Greek myths also have a pantheon of gods and goddesses who rule and order the universe, the most notable being the Olympians, the gods and goddesses who reside under Zeus on Mount Olympus. The most widely used elements of myth in fiction are from Greek mythology, particularly its gods and goddesses. The Roman myths are a collection of myths about the origins and development of ancient Rome; of which the stories primarily pertain to order of Roman society, rather than the order of the universe. It is believed the Romans thought of them as true historical accounts, despite the fact that they included supernatural and mystical elements. They are also religious in nature, and use divine law to explain issues of politics and morality. Like the Greek myths, they have pantheon of gods and goddesses, most of which are named from the stars and planets. However, the gods have a much smaller role in Roman mythology and religion than in the Greek. Unlike the Greek myths, the Roman myths do not have a creation story about the origin of the universe. The importance of myth is immeasurable—in literature, philosophy, history and many other parts of human life. They have been a huge part of oral, written, and visual story telling for literally thousands of years; in fact, they have been a part of mankind’s entire history. Humans have always used myths to explain natural phenomena and life’s mysteries; for instance, Greek and Roman mythology served as both science and religion in both cultures for centuries. To this day myths have a very large and relevant place in cultural studies and scholarship, and are represented across studies in literature, religion, philosophy, and many other disciplines. Part of the allure of myths is that the exact process and purpose of their development is unclear. For instance, some scholars believe that myths are inaccurate accounts of real historical events, while others argue that the gods and goddesses were personifications of objects and things in nature that ancient men worshiped. Most myths have been passed through oral tradition, and were later written down by scholars and historians—there are no original written collections of Greek mythology, they were not recorded until centuries after they were first believed to be developed. One of the most well respected collections of retellings of Greek and Roman myths is The Greek Myths by Robert Graves. In the selection below, Graves dictates the myth about the creation of Mount Olympus, where the gods and goddesses reside and rule. Graves’s purpose is to record and retell the classic Greek myths in the most original and accurate form possible. Scholars of mythology see the dozens of myths that he covers in his collection as some of the most accurate and well-developed representations of these ancient tales. Here, the goddess Minerva flies down from mythological Mount Olympus to the hall where the hero Ulysses rules. As can be seen, Homer draws from both Greek and Roman mythology in the development of both epics. There are several noteworthy myths whose themes have been retold in varied ways across many cultures, predominantly the “creation myth” and the “flood myth,” which are popularly retold within the context of religion. A creation myth explains the creation of man, the universe, or some other element of life. A flood myth usually depicts a great flood sent by the gods to essentially destroy mankind, often as a form of punishment for forgetting the power and importance of divine rule. 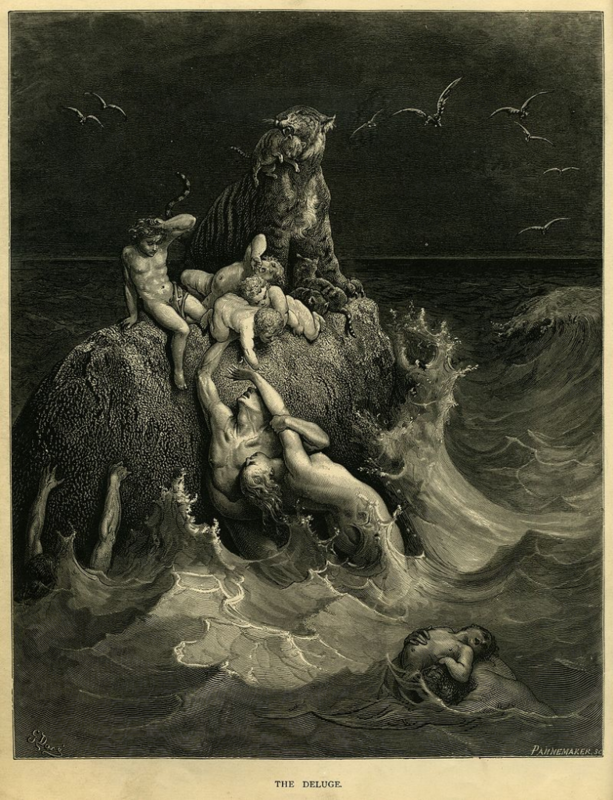 For example, the biblical story of Noah’s ark is a representation of the flood myth in Christianity, which is depicted below in a painting by Gustave Doré. Furthermore, most religions have a form of creation myth to explain the existence the universe and mankind. In this scene, Achilles is ultimately deciding his fate. He knows that if he goes to war he will never return; he also knows he has a significant part to play in it because he is a legendary warrior. For Achilles to fulfill his destiny he must die, and while he may be a hero with some superhuman qualities and godlike fighting abilities, he is ultimately a mortal man. Adaptations like these are valuable form for the retelling of myths. Films like Disney classics let children enjoy bright and appealing stories about age-old characters and themes. By presenting the stories in a way that is popular and relevant, children are encouraged to learn about classics. 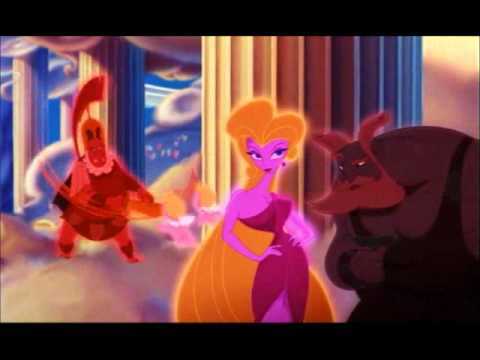 While an animated Disney film is certainly not a completely accurate depiction of the myth of Hercules, it still introduces children to a classic story that is an important part of literary culture. Folktales are classic stories that have been passed down throughout a cultures oral and written tradition. They usually involve some elements of fantasy and explore popular questions of morality and right and wrong, oftentimes with a lesson to be learned at the end. The difference between folktales and myths is that myths once served as a culture’s belief system, while folktales are fundamentally a form of storytelling. An epic is a legendary tale about a great hero on quest, usually with some form of divine intervention. Most epic tales employ some form of mythology in their storylines, but epics are not myths in themselves. In conclusion, myths are legendary stories that have been a fundamental part of man’s culture, history, and even religion for thousands of years. They have been utilized, adapted, and retold by authors since the beginning of storytelling—in other words, for the majority of human existence.